Located above Seattle Washington’s historic Pike Place Market, for four decades Isadoras has curated and sold beautiful pieces of antique jewelry. Owned and operated by Laura Dalesandro since its inception, every piece in Isadoras Antique Jewelry is handpicked by the owner. She and her daughter travel the world seeking out pieces of age, beauty, craftsmanship and originality. And while many purveyors of antique jewelry carry both real and reproduction, Isadoras has maintained a steadfast loyalty to antique and vintage pieces only. 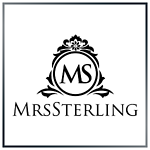 Some of the things that MrsSterling has in common with Laura and her daughter– only antique and vintage pieces–no reproductions- remembering that our client’s happiness is the essence of our business. Thank you again for shopping with us– visit Isadoras website– I love browsing through it.